Sveta’s Skin & Body Therapy offers a great selection of skin care products in addition to the mentioned below skin care services. Stress, environmental factors and hormones can cause even the most well-behaved skin to experience anything from mild breakouts to those hard, sore bumps. Sveta’s Acne Skin Treatment will help to prevent scarring and immediately work to reduce redness and inflammation, making blemishes less noticeable while calming and soothing irritated skin. Your session will begin with a deep cleansing, toning, and steam. By using two specialized masks and extractions, our Acne Skin Treatment helps remove bacteria and sebum. Acne scarring is reduced with the use of a high frequency machine that focuses on any remaining acne bumps. A great service even for sensitive skin! Sveta’s Anti-aging Perfecting Facial begins with a deep pore cleansing and stimulating facial massage. A gentle pumpkin enzyme with steam is followed by extractions and a Derma-New exfoliation. The skin is then treated with a light chemical peel to renew surface tissue, followed by a blended mixture of vitamin C, collagen, and re-elasticizing masks to build firmness and repair cellular damage. To finish off your service an SPF moisturizer is applied. An Essential facial for your back! Beautiful Backs utilizes the benefits of seaweed and algae to correct skin imbalances for the shoulders and upper back. Performed just like our Essential Facial except you are laying face down on our fluffy, heated table. An excellent treatment for summer or to show off the perfect dress. Chemical Peeling treatments provide all skin types with an even and non-aggressive exfoliation of dead skin cells. It dramatically renews texture and clarity, diminishing impurities, clogged pores and hyper pigmentation (brown spots). Chemical Peels range from light to deep depending on the acid used. Glycolic, Beta, Lactic, and Ferulic Apple C peels can be done year round depending on your sun exposure. Consult with a member of our Anesthetic’s team to find the perfect peel for you! Each session begins with a brief skin consultation to address any concerns you are having with your skin. A calm cleansing and toning will be performed to remove daily residue and any make-up. To remove dirt even deeper into the skin, a deep algae cleanser is used to fully open the pores. Steaming and extractions follow, to remove black and white heads under the surface. During the mask our invigorating pumpkin enzyme is used along with a custom enhancer to improve, texture, radiance, hydration, or cell regeneration. At this time a deep neck and shoulder massage is also done to help you alleviate stress and fully relax. To end your time with us a hydrating moisturizer is gently massaged into the skin; have some extra time ask your Aesthetician about a Glo Minerals make-up veil. Under eye and lip area looking dry, dull, and tired? Add the Anti-aging Eye and Lip Treatment to any facial or perform as a stand-alone service to revive the eye and lip area. A glycolic exfoliation and collagen filler mask will brighten, hydrate, and refresh the sensitive under eye and lip areas. A Peel, a facial, all in one. The wonderful aroma of pumpkin spice mixed with glycolic acid make this facial truly spectacular. The normal steps of our Essential facial: deep cleansing, toning, steaming, and extractions leave your skin fresh and your pores open. Then the glycolic pumpkin mask is applied for deeper exfoliation and minor peeling effects. Followed with an SPF moisturizer to leave you soft and glowing. The Essential Facial re-designed for the every day man. This 50-minute service will deep cleanse, tone, exfoliate, and hydrate. A custom enhancer is applied depending on your skin’s specific needs. During your mask session a deep neck and shoulder massage is performed, followed with a moisturizer and SPF, this facial is ideal for every skin type. The deepest in skin cleansing and resurfacing. Combine your favorite treatments of Microdermabrasion and a Chemical Peel into one fabulous service. A brief cleansing makes way for Diamond Tip exfoliation to eliminate dead skin cells and a chemical peel mask to penetrate the outer skin layer for the deepest clean possible. This 50-minute service is designed to help you relax and unwind in the comfort of your own facial suite while your skin is worked to the max to reveal young, fresh, vibrant skin. Peeling can be expected 3-5 days post treatment and can last up to 5 days. Are you looking for a non-surgical way to freshen and rejuvenate the skin on your face? Microdermabrasion treatments make use of minimally abrasive instrument to gently sand the skin, removing the thicker, uneven outer layer of your skin. This treatment will soften fine lines and wrinkles, help to smooth coarsely textured skin, decrease the appearance of scaring, and decrease pore size and reduced age spots and sun damage. Book your session today and let our trained Aesthetic staff find the perfect fit for you. The sweet sensual aroma of Acai Berries, Grapes, Avocados, and Oranges make Sveta’s Organic Revitalizing Facial simply delectable. Following the basic steps of our Essential Facial the Organic version uses all natural, plant-based ingredients. Targeted towards mature skin types or those focusing on anti-aging needs the Organic Revitalizing Facial will cleansing, exfoliate, and hydrate any skin type. Be kinds to your skin and the environment at the same time. Go Organic! 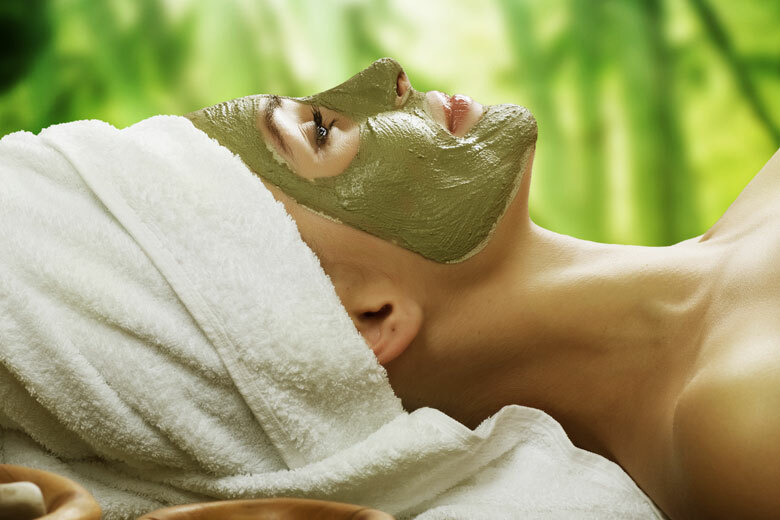 After your personalized skin consultation, Sveta’s Signature Facial begins with seaweed and algae deep pore cleansing. Extractions and steam time are used to help reduce imperfections, while enjoying a deep neck and shoulder massage. A customized Facial Enhancer is added along with two masking sessions to help tone, brighten, and improve your skin’s overall appearance. Finally your skin will be hydrated with a silky moisturizer and sunscreen to prevent aging. No pampering service is complete without a massage and Sveta’s Signature Facial makes sure your hands and feet are massaged and wrapped in warm mitts and booties during your masking sessions.